49th high school design competition – 2018! 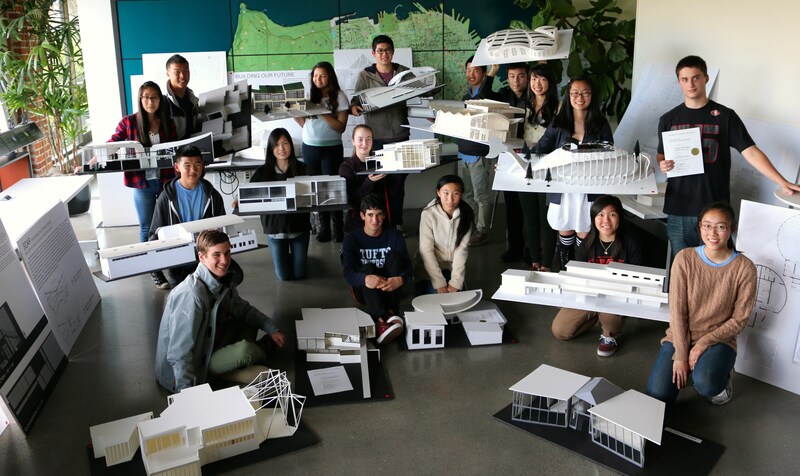 This year you are challenged to design a Community Campus Center to be integrated as part of a new mixed-use development at the Potrero Power Plant on San Francisco’s eastern shoreline. 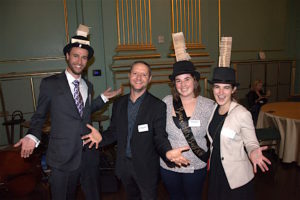 Create a physical model and / or a digital model to win a prize in one or more of 3 categories: 1) Best Design (single entrant), 2) Best Group entry and 3) Best Digital entry. Thank you for making the 2017 Beaux Arts Ball fabulous! 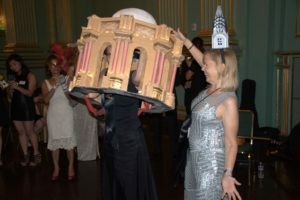 The Architectural Foundation of San Francisco thanks all of the professionals and fans of the architecture, engineering and construction worlds who came out in style for our 3rd annual Beaux Arts Ball Redux. 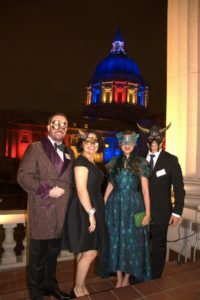 More than a few impressive costumes made the evening of music, food, games and prizes sparkle even more brightly. Special thanks to our organizing committee for making it all come together in such stunning fashion! Thank you for showing up and for supporting our educational programs. See you all next year! 2017 High School Design Competition Challenge! SUBMISSION: Entries must be submitted on Saturday, April 22, 2017 between 10:00 am and 12:00 noon (Location TBD. Check back here for updates or contact Ryan.Lee@woodsbagot.com for more info). AWARDS CEREMONY AND RECEPTION: Sunday, April 23, 2016 from 4:00 – 5:00 pm at the same location (TBD). All entrants, their parents and family members, and respective faculty instructors are invited. Winners will be announced and awards will be presented at this time. Doors open promptly at 4:00pm. This year we are awarding prizes in 3 categories: 1) Best Design (single entrant), 2) Best Group entry, and 3) Best Digital entry. Please note that depending on which option your students choose to enter, they will only be eligible for certain awards. In addition to the standard prizes, the first place winner in the overall superiority category will receive a four week Summer Pre-college Scholarship at the California College of the Arts. This year, you are challenged to design a Music Production Hub situated between Pier 1 and Pier 2 in Fort Mason’s Historic Landmark District. The lower portion of the revived former military base along San Francisco’s northern waterfront is currently home to the Fort Mason Center for Arts & Culture (FMCAC), which consolidates various outlets for people to explore their creative and artistic abilities. 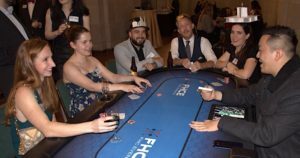 This competition endeavors to enhance the FMCAC’s mission by creating additional space for musicians to both produce and perform their craft in a unique waterfront setting. The Music Production Hub you design will be a place for aspiring Bay Area musical artists to practice, hone and challenge their capabilities in a wide-ranging environment equipped to cater to both collaborative interaction and individual experimentation. The hub will be a gathering place for those to express themselves through sound and also a place to learn and draw from musical history. Capitalizing on the site’s public waterfront access, a public performance space will be a key component of the project. Download the 2017 challenge packet for a complete description of the challenge and requirements. This year’s site is quite different from previous design competitions as almost 95% of the site is situated over open water. There are no limits to what may be created and designed by you: you may choose to float your design over water, to ground it on a structure by expanding portions of the existing piers, to use a combination of both ideas or to come up with an entirely alternative approach. 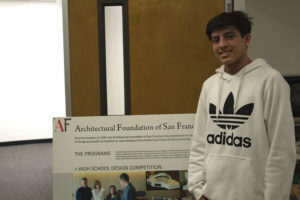 As with all AFSF competitions, you will be critiqued more on the aspirations of your “big idea” than your ability to problem-solve every technical detail of your design’s real-life features and ramifications. However, if you choose to elaborate on certain technical aspects of your design, we will welcome anything and everything that intrigues you about your design. Ultimately, have fun with it! Ryan Lee of Woods Bagot is this year’s Competition Chair and Author. He will be available to visit your classroom and discuss the program with your students. You may call him directly at 415-277-3041 or e-mail him at Ryan.Lee@woodsbagot.com to set up a classroom visit. If you have any questions, please do not hesitate to contact him.